E-Safety is an important part of children’s education in today’s digital world and at Nunney First School we take active steps to embed e-safety in our curriculum and children’s learning. 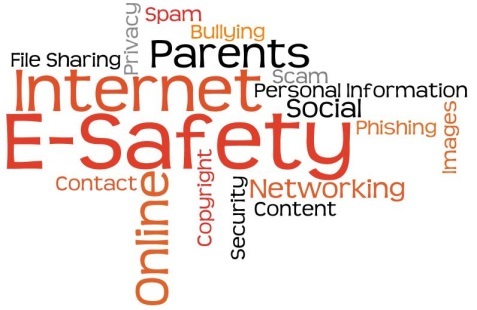 We also want to help parents and carers improve their own understanding of e-safety so that they can support their children to use the Internet and digital media in a safe and secure way. Our easy access e-safety leaflet will get you started. It also directs you to further information and support. Follow the link to locate Nunney First School’s Easy Access E-Safety Leaflet. Remember to return to the questions with your child over time. Think about how you use the Internet and a family. What could you do together to get more out of the Internet? Access to the Internet is provided during adult supervised lessons. At Nunney First School we view access to and use of the web and email as hugely worthwhile and an essential tool for children as they grow up in the modern world. In school, we have taken active steps to reduce the risks associated with use of the Internet. Our school Internet access provider operates a filtering system that restricts access to most inappropriate material. All our teachers have received training in e-safety and how to teach this. You can download our Acceptable Use Agreement here.